all the voices for "The Legend of Johnny Appleseed" segment. Walt Disney's trademark application for "Mickey Mouse"
is filed with the United States Patent Office. aeronautical engineer, but he drew cartoons in his spare time at school and eventually decided to study art. "Woolie" as he will be nicknamed, will start work in June and go on to become one of Walt's "Nine Old Men". Disney comic illustrator Luciano Gatto is born in Venice, Italy. Disney's Donald's Dream Voice, directed by Jack King, is released. Donald tries his hand at selling brushes door-to-door ... but since nobody can understand him, nobody buys anything! The TV series Walt Disney Presents airs "Wonders of the Water World,"
CBS-TV airs the 2nd part of the Disney special "The Best of Disney Music: A Legacy in Song." the next 2 days. Among the special guests are legendary astronauts Buzz Aldrin and Wally Schirra. 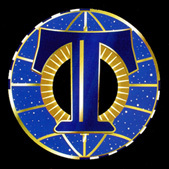 begin October 1, 1999). The parade will run through April 2001. In Hawaii, Disney turns the aircraft carrier John C. Stennis into a party ship and outdoor movie theater for the premiere of its summer blockbuster, Pearl Harbor. Movie stars mingle with survivors and top military officers as some 2,000 guests gather on the flight deck of one of America's biggest ships for the screening. film location for the "Spin and Marty"
segments of the Mickey Mouse Club. total to just under 900 acres! Disney’s VirtualMagicKingdom.com shuts down at 10 p.m. The free social gaming site, also known as VMK, let players choose and style avatars, chat with other players and play games - all in a virtual theme park environment. America) - where he designed Mr. Magoo! Disney's Pinocchio is generally released in the U.K.
replace original cast member Laura Michelle Kelly. University (in Burbank, California). Special guests include the film’s writers and directors John Musker & Ron Clements, and animators Andreas Deja, Mark Henn, Duncan Marjoribanks, Reuben Aquino and Tina Price. 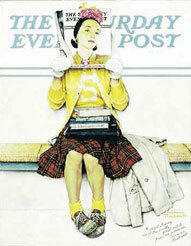 Saturday Evening Post cover (dated March 1, 1941). life scenarios he creates for The Saturday Evening Post magazine. songs associated with Disney films including "When You Wish Upon a Star," "Supercalifragilisticexpialidocious,"
The 2010 Star Wars Weekends officially begin at Disney's Hollywood Studios. There will be 4 consecutive weekends in all: May 21-23, May 28-30, June 4-6, and June 11-13. Suite Life on Deck, Dano is the grandson of Royal Dano (the original voice of Great Moments with Mr. Lincoln). Neimoidian schemer Rune Haako, to Mas Amedda, the booming voice of order in the Galactic Senate). Clarence "Ducky" Nash leaves Donald's "footprints" in cement at the Chinese Theater in Hollywood, California. "Go Your Own Way." Cook is no stranger to the Florida resort, in December 2008 he took part in the filming of the Walt Disney World Christmas Day Parade and in August 2009 vacationed with family at WDW. The premiere performances of "Paint the Night" parade and "Disneyland Forever"